Sometimes it all just comes together. I had the pleasure of meeting and hearing Grace Pettis at Memphis House Concerts just as Jimbo was preparing to put the series on long-term hiatus (I still refuse to believe it’s gone forever), and I could understand immediately why she’d been a frequent guest at MHC. I also happened to notice that she was wearing a Rebecca Loebe t-shirt, and when I mentioned that Becca had been one of our early Folk All Y’all guests, Grace lit up. Turns out the two of them were planning to hit the road as a trio for a “Sirens of South Austin” tour with the equally extraordinary singer-songwriter BettySoo under the flag of Nobody’s Girl. So there in one shot, I had the chance to welcome Becca back to Folk All Y’all, continue Grace’s run in Memphis with MHC’s audience, and introduce Betty to our combined scene. The minute their new group was publicly launched, I was at their agent’s (virtual) door. Because most of our guests are from outside Memphis, there’s always a little bit of “now or never” to our show opportunities, but in this case, it really may be your only chance to see this amazing configuration of artists. 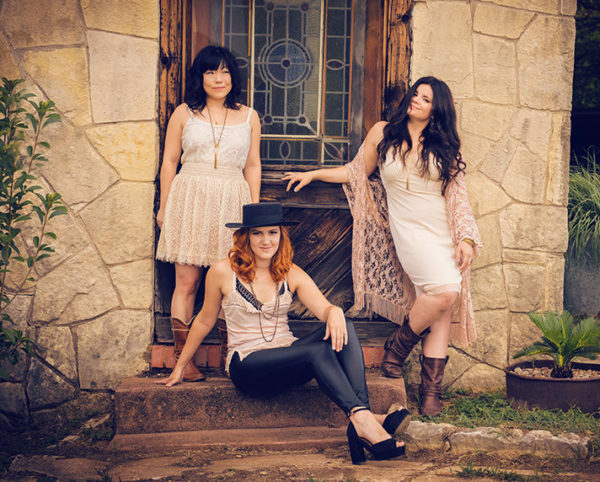 Rebecca Loebe, Grace Pettis, and BettySoo are all accomplished and acclaimed performers in their own rights, but when they combine powers, they create an unstoppable force of harmony, energy, and love. It’s hard to write one tidy preview because each of these women is so profoundly herself and incapable of being summed up in a few descriptors, but it’s their clear, distinctive identities that make their fusion so arresting. NOBODY’S GIRL SOUND GREAT! HOW DO I SEE THEM? The show will be Thursday, April 12th with doors opening at 7pm and music starting at 7:30. This show is part of our Pop-Up Listening Room series, so we’re thrilled to be hosted and sponsored by our friends at Studio688, located at 688 S. Cox St. in Midtown Memphis. All tickets are $20, general admission, with 100% of sales going to the artist, as always. Guests are allowed to BYOB responsibly. Tickets are available now – get ’em!